The seven small bones in your neck that comprise your cervical spine help you hold up your head and move it with ease, a task not unlike balancing a bowling ball on your fingertips all day. Neck pain, often the result of poor posture or osteoarthritis, can restrict your range of motion and make normal activities difficult. 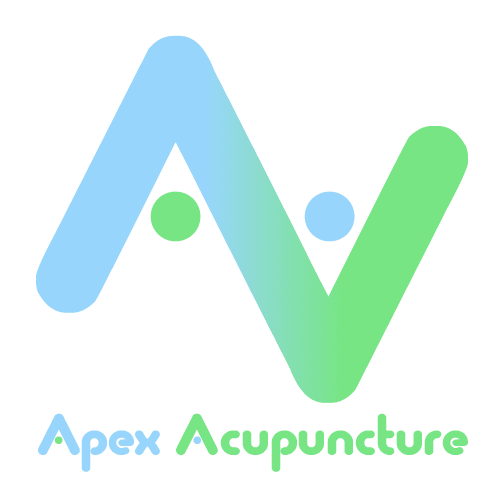 Apex Acupuncture in Manhattan, New York City, uses acupuncture to relieve ongoing or sporadic neck pain safely, effectively, and naturally. Call the office or book an appointment online today. Although your neck is strong and flexible, supporting the weight of your head for much of the day leaves your cervical spine prone to a variety of injuries and conditions that limit your range of motion and cause stiffness and discomfort. Muscle strain is a leading cause of neck pain that often comes from spending too much time hunched over your computer or phone. It’s also possible to develop persistent neck pain from a misalignment in your lower back that causes your cervical spine to compensate and shift off-center. All the joints in your body, including those of your cervical spine, are prone to age-related wear-and-tear. Osteoarthritis is a common condition that causes the cartilage between the bones in your neck to break down. Eventually, this deterioration can cause you to develop painful bone spurs. Chronic neck pain can also be the result of bone spurs or herniated discs pressing on nearby nerves in your cervical spine. Cervical spinal stenosis, an age-related condition where the spaces within your spinal canal narrow, can also cause nerve-related neck pain. This common neck injury occurs when a forceful movement causes your head to rebound, compressing your cervical spine and injuring your soft tissues. Whiplash usually causes long-lasting neck pain, stiffness, and restricted mobility. In some cases, persistent neck pain isn’t the result of any specific injury or condition but a manifestation of chronic stress — uncontrolled stress can cause painful muscle spasms in your neck. Why is it important to treat neck pain? Even minor, unresolved neck problems can lead to perpetual discomfort, stiffness, and soreness. You may notice that your pain worsens when you hold your head in the same position for a long time, such as when you’re driving or working on a computer. As your problems continue, you may also experience additional symptoms, such as overly tight muscles, muscle spasms, headaches, or a decreased range of head motion. How is neck pain normally treated? Determining the right course of treatment begins with a proper diagnosis. Depending on the cause, location, and severity of your pain, traditional recommendations may include over-the-counter pain relievers or steroid injections to reduce inflammation and discomfort. In many cases, physical therapy alleviates neck pain by building strength, stability, and flexibility. Can acupuncture relieve persistent neck pain? Although most types of neck pain eventually resolve with time and the appropriate approach, traditional medical treatment doesn’t always produce the results you hoped for. Acupuncture works to restore your internal balance of energy, reduce inflammation, and initiate soft tissue repair, all of which act to help relieve neck pain, address its underlying cause, and help prevent future problems. Acupuncture also helps ease the muscle guarding patterns caused by chronic pain and injury, allowing your muscles re-establish normal firing patterns. To learn more about how acupuncture relieves neck pain and promotes natural healing, call Apex Acupuncture or schedule an appointment online today.